In the Asia Cup, the decision of the third team has been announced in the group of India and Pakistan. 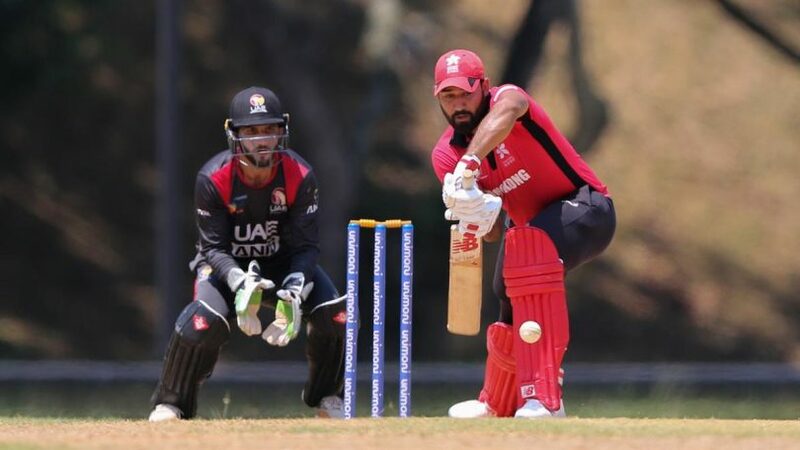 Thursday, Hong Kong qualified for the Asia Cup 2018 by winning the Asia Cup Qualifier -2018 final by defeating United Arab Emirates (UAE) by two wickets in the rain-affected match. After the sensational performance of Man of the match awardee Ejaz Khan (28/5) Hongkong’s batsmen chased the target easily. Hong Kong will now play in the Asia Cup on 16 September in Pakistan in Dubai and then against India on September 18 in Dubai. Earlier, winning the toss and restricts the UAE for 176 in nine wickets in 24 overs, and then won the match by scoring 179 runs in 23.3 overs. For Hong Kong, Najakat Khan (38), C Carter (33), Ehsan Khan (29) and captain Anshuman Rath (28) were the top scorers. Mohamed Naveed for UAE, two more Amir Hyatt, Ahmed Raza, Rohan Mustafa and Shaman Anwar took one wicket each. While India, Pakistan and Hong Kong in Group A, Sri Lanka, Bangladesh, and Afghanistan have got a place in Group B. The first match of the tournament will be played between Sri Lanka and Bangladesh on September 15 in Dubai. The title finale will be held on September 28. The top two teams from each group will qualify for Super Four followed by the final between the two teams. Defending champions India will compete against Pakistan in the Asia Cup cricket tournament on September 19, while the team will start its campaign against Hong Kong on September 18. India is the leading champion in this tournament since it was started. This tournament is being played between Asian Cricket Countries.